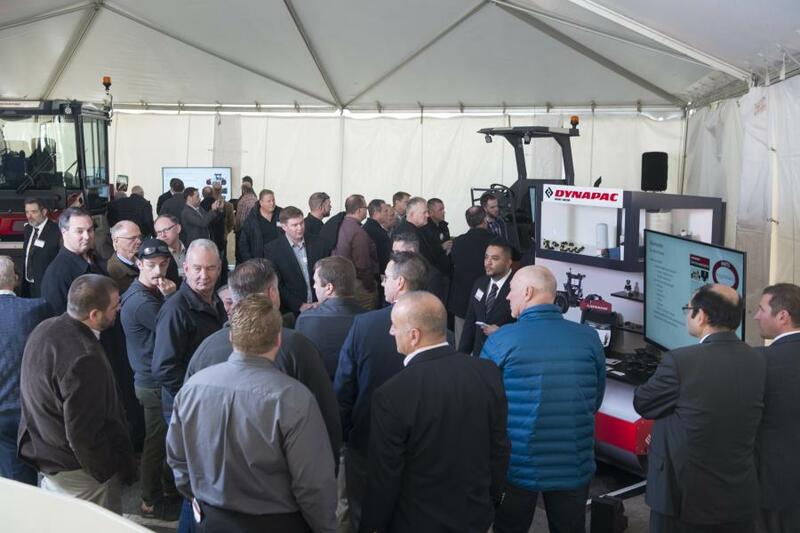 The historic Biltmore Estate in Asheville, N.C., provided the backdrop for the Dynapac North America visual identity launch where the company showcased newly branded Dynapac equipment and shared the future of the organization to more than 80 dealers and rental partners from the United States, Canada and Mexico. 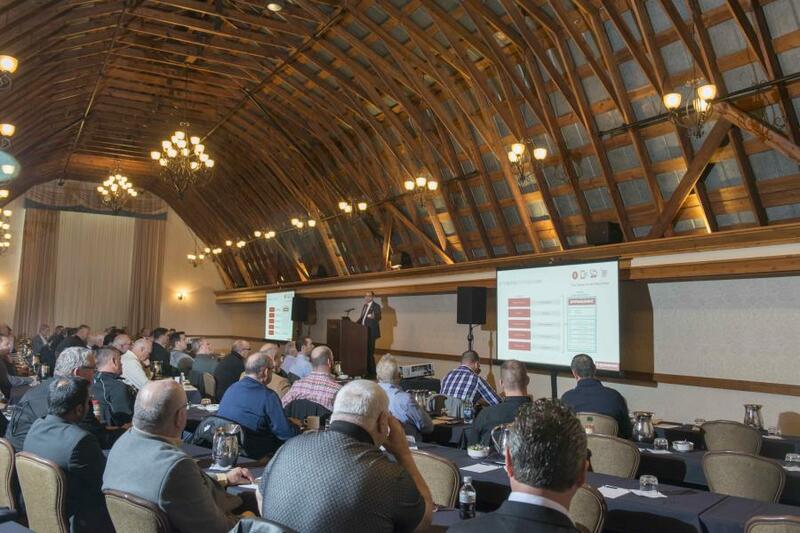 The program started with presentations from North America President Brian Bieller; Global Vice President Herman Matthyssen; and Global Vice President Aftermarket, Abhijit Som. There was reflection of Dynapac's past, an introduction to the Fayat Group and a glimpse into the future of Dynapac within the Fayat family. Guests were whisked to a formal introduction of equipment in the new visual identity, including the red elements well recognized with the Dynapac brand. Equipment included the sixth generation CC1200 and CC4200 double drum asphalt rollers, CA1400 soil roller; and the newest edition to the Dynapac paver family, the FC1600C commercial class paver. The Fayat acquisition of Dynapac from Atlas Copco was finalized on October 4, 2017, leaving a short window to launch the new visual identity before the upcoming trade show and spring paving seasons. “We felt this event needed to happen now, not only to introduce the new visual identity, but to share the vision and strategy of Dynapac's future with our partners,” said Brian Bieller. 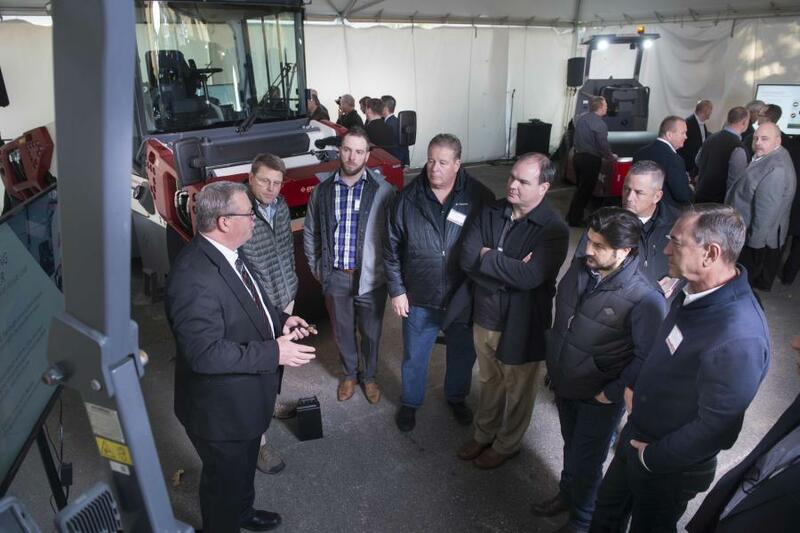 “Dynapac did a great job of showcasing the new products, vision and plan moving forward,” said Victor Rig, Harter Equipment. Dynapac North America will publicly launch the new visual identity at the National Pavement Expo, The (ARA) Rental Show and World of Asphalt during first quarter 2018.